Binder offers a clear overlay so you can customize the front, back and spine by inserting your own cover. 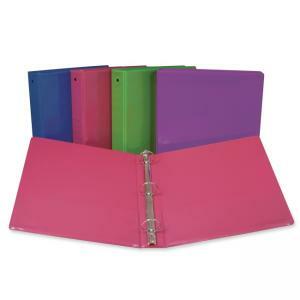 Snap three-hole punched documents into round ring or store in two clear inside pockets. Spine has exposed rivets.